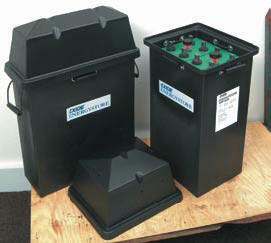 The batteries listed below are the most commonly used and come from four manufacturers. Exide, Trojan, Endurant and Vision. These options offer the most comprehensive choice available in NZ. Technologies listed are Flooded, AGM and Gel each with characteristics to suit specific situations. Your choice of battery may be determined by cranking amps, ampere/hour capacity, physical size, charging system, ambient operating temperature, or price. Whatever you need, you will find the right battery here but if you're still stuck, email us, we have more. Sonnenschein, Century, Yuasa, Powergard, Bosch. Choose your start battery primarily by CCA and the cyclic battery by ampere/hour capacities. Start | Dual Purpose | Deep Cycle | Read about chargers.